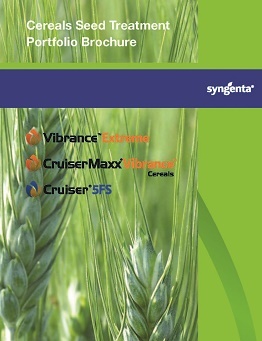 CruiserMaxx® Vibrance® Cereals insecticide/fungicide seed treatment combines the power of four chemistries in a proven formulation to safeguard wheat and barley seeds, young seedlings and roots from a broad range of seedborne and soilborne diseases, as well as insects. 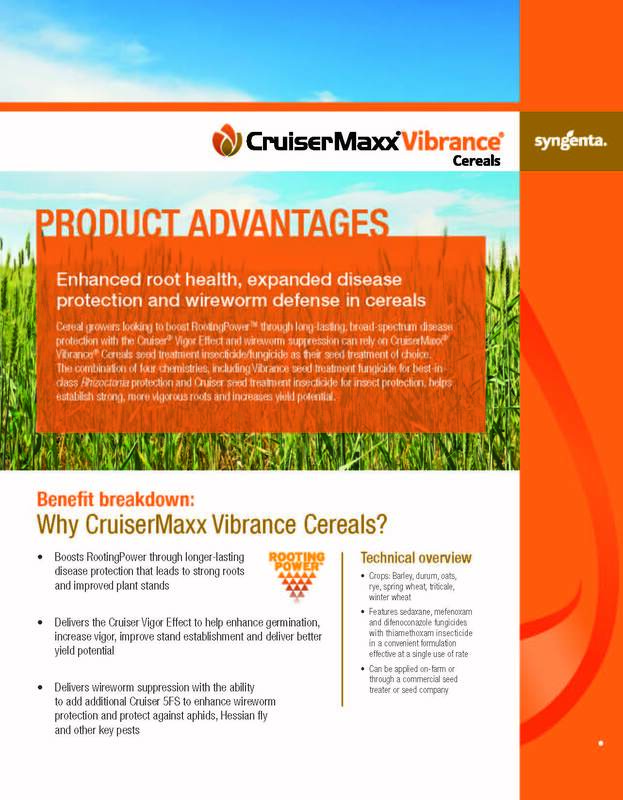 CruiserMaxx Vibrance Cereals has better compatibility with water, allowing for improved coverage and a more uniform coating. 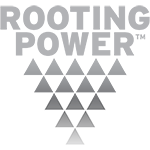 Generic formulations may have insufficient surfactants and flow aids increasing the risk of buildup issues due to formulation breakdown. 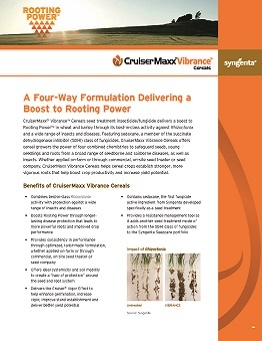 CruiserMaxx Vibrance Cereals is formulated to ensure accurate and uniform doses of active ingredient distribution on each seed, boosting performance throughout the field. 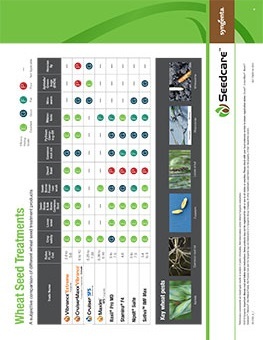 Generic treatments may have partial, uneven active ingredient coverage, leaving your seeds exposed and not fully protected from insects and diseases. 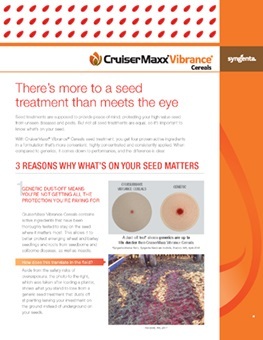 CruiserMaxx Vibrance Cereals contains active ingredients that have been thoroughly tested to stay on the seed where it matters most. 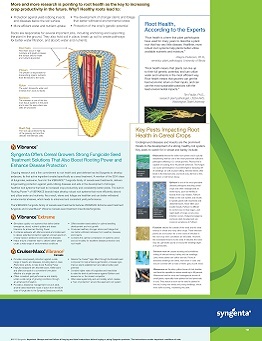 This allows it to better protect emerging wheat and barley seedlings and roots from seedborne and soilborne diseases, as well as insects. Rockford, WA, 2017: This photo was taken after loading a planter and shows dust-off from a generic seed treatment. Generics aren’t worth the risk. 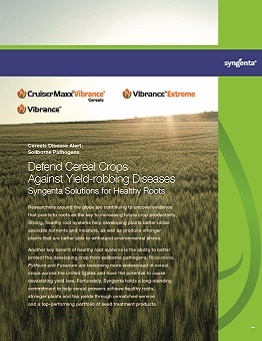 Ask your local Syngenta retailer for CruiserMaxx Vibrance Cereals. AgriPro® brand spring wheat variety Bullseye. 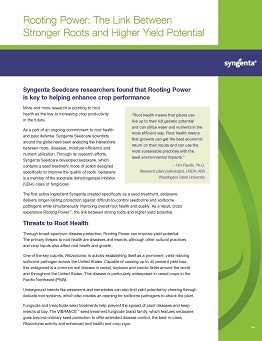 Inoculated with Rhizoctonia.